Here is another catalogue to enjoy! 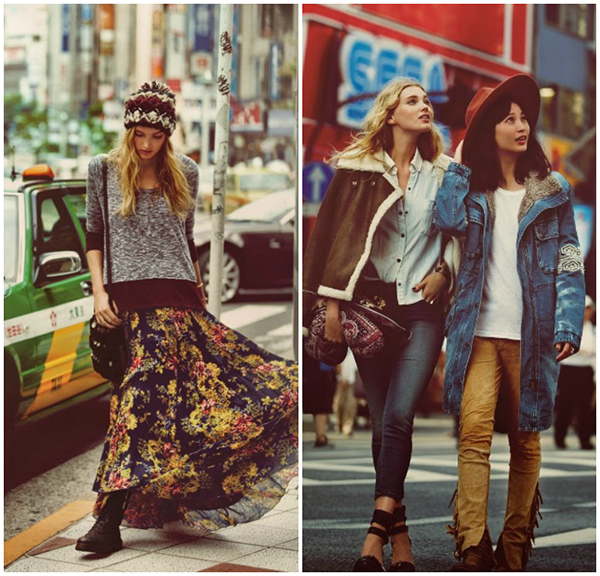 Free People released its October 2013 lookbook to make us happy with the gorgeous ensembles for this fall. This is exactly what I need, as my source of inspiration is starting to slowly vanish. I have recently noticed that I tend to struggle with the clothes choice whenever I have to leave my apartment for something more official than just a regular errand. This put me into a state of strong frustration, for I have always considered myself to be a “stylish” person. But, luckily, Free People is here to contribute to my self-evaluation. This time, Elsa Hosk was joined by her Japanese colleague Eimi Kuroda. The two ladies pose against superior backdrops on the streets of Tokyo. Both what they wear and where they hang out makes me feel super jealous and excited. The beauties were snapped by photographer Guy Aroch. They were also lensed indoors – maybe to show the contrast between the enchanting modernity and dynamic of the Japanese capital and cosiness of the inside. The lookbook appears to have a bohemian touch withs street chic motifs. I absolutely love all the outfits featured in the catalogue, as they tell each a different story. You will find here an ensemble for each of your great days – such a great chance pops up noy so often. 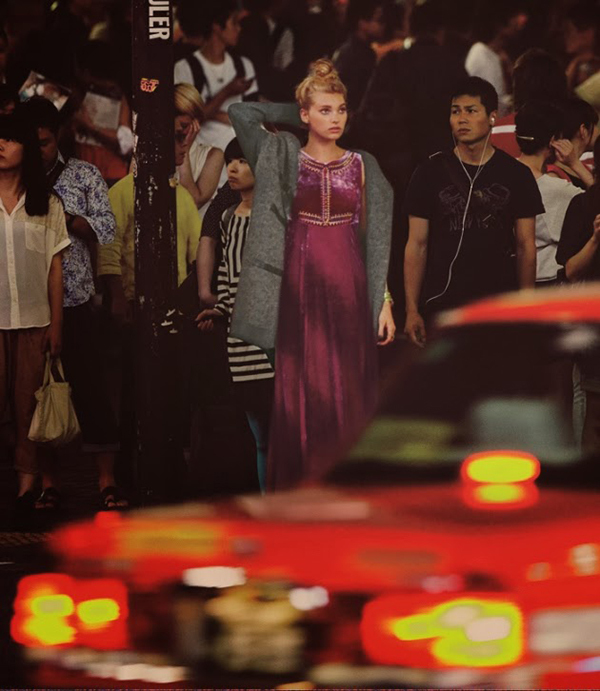 Looking at these photos you actually understand how Tokyo style is interpreted. Layered fabrics, knit sweaters, fringe skirts, cute hats, pretty dresses and plenty of accessories delight my evening, as I check out each of them. There is also suede, denim and lace that were used to create these beautiful clothing pieces. Check out the gallery to see more striking outfits by Free People and choose your favorite one!